Alan McNeilly provides an In-Box Review of the ARK MK I Conversion Set, a new release by Resicast for the AFV Club Churchill Mk III. You're welcome, it looks like a great conversion. Not sure I follow your gist. The tracks I mentioned are the early style tracks that you see on these vehicles. "I asked Resicast at Trucks & Tracks 2009 last week if some of the ARKs depicted by this conversion could have used the later style of tracks (included in the AFV Club kit) and they said no..."
?? - sorry I have no idea what you mean unless it is that if you want to do this conversion you need to use the early style tracks I mentioned, or similar sets. I don't have reference for every ARK made so I can't say that absolutely no vehicles had a set of later tracks, as with any build your reference pics will be you guide. You kinda lost me here. Removed by original poster on 03/03/09 - 20:17:36 (GMT). This is the link to the early style tracks review. You see these both on the Gun Tanks and The Engineering vehicles. I meant your sentence could be read as if late tracks could be used as well ("often" doesn't mean "always" in my book). Ah well, I don't have definative proof that later tracks were never used. Do you? If so please share. 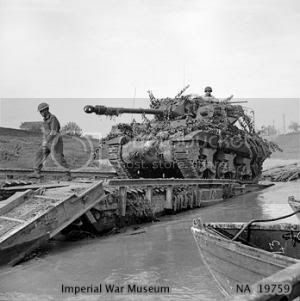 It's a bit like saying no M4 Sherman DV Mk Is were used by the British in Normandy, which actually turned out not to be the case or that saying the Italeri large hatch M32 was never used when in fact it was. Never Say Never Christopher and of course there is always modellers choice! We try to please most of the people most of the time but can't please all the people all the time. So if it helps. 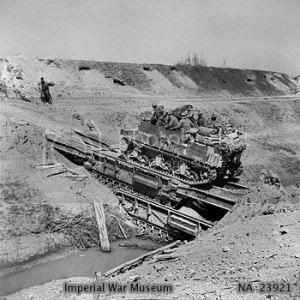 All the picstures I have seen of this vehicle have shown the use of the Early Style Churchill Tracks as can be seen in the review link above. For this reason I specifically mentioned them in the Review of the ARK Mk I, but as always you should check your references, personally I don't have definative proof that this was always the case. I don't doubt what Graham told you in the least. 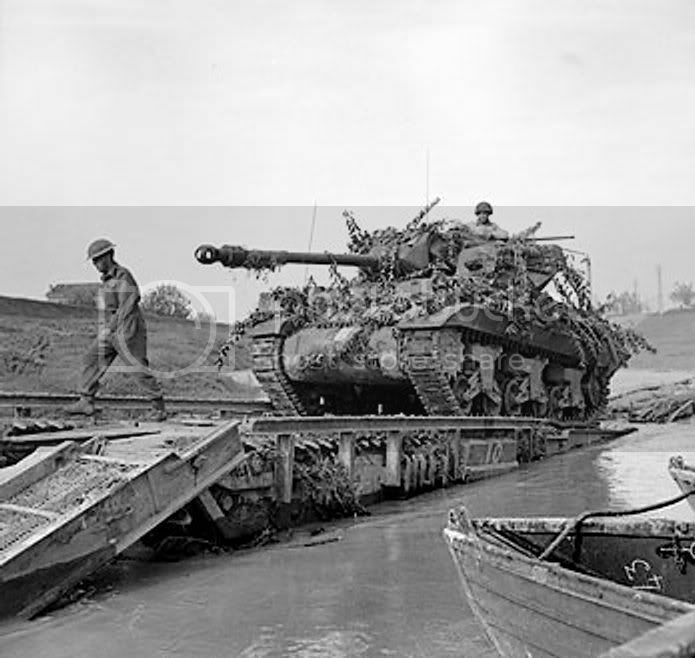 However, I was told, by several very credible sources that M4 DVs were not used by the British in Normandy, All were later proved wrong. What's you opinion of the tracks on this ARK, early or late? Great to see this one released, i can wait to get my hands on one. If it's anything like as good as the new Mk IV AVRE conversion, which I'm about half way through, it'll be another gem. Thanks for the detailed description Al, only made me all the more eager. 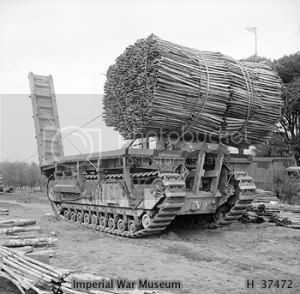 I'm looking forwrad to doing both another AVRE Mk IV and the ARK. The AFV AVRE when it comes I will build as a Mk III, which will make a neat contrast, but I have the Churchill doner kit for these two so all I need mow is more build time. Any thoughts on the pic? It looks to me like those might be late pattern tracks which would be unusual but my eyes aren't what they used to be . I'm not sure of differences between MkI and later ARKs, or if you meant only MkIs had early tracks, but i also have this picture, which i believe maybe a later model. I reckon this one has late tracks too. Thanks for the better pics, yes I'd agree these are sporting the later style tracks. 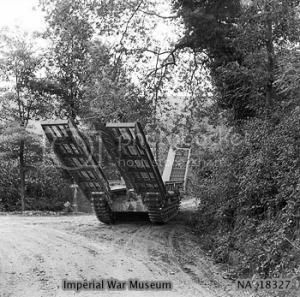 The majority of the pics I'd seen showed the early style so it is probaly fair to say they were more common or at least though to be, but I didn't say they were only used on the early Mk Is as you see this style of tracks on gun tanks and other vehicles too, including the AVRE's whether Mk IIIs or MK IVs, so they will be a useful set. was ambiguous which as you can see it wasn't. 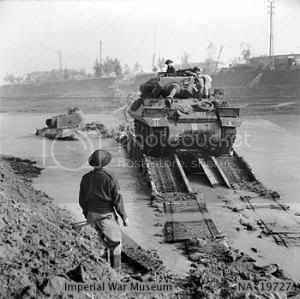 The picture I posted was taken in Italy, lots of rivers there There are some good pics of them on IWM. Lots of good things in the pipe line form Resicast, it's going to be a very interesting year for Mr Churchill. Yip, the test footage was great. Without giving the game away completely lots of watery things in the pipeline, some with wheels!! The new engine will add a lot of dio possibilities, who knows we may even get a basic interior which would be great. It will be a while before I get started on this one, other projects to complete first, but I'm really looking forward to it. The Mk III gun tank builds I've seen look great and there are lots of possible combinations with the tracks and fenders by the look of the kit so good fun ahead. Here's one being used as a Facine Carrier. The ARKs used in Italy differed considerably to those used in NWE. 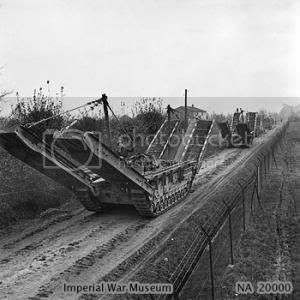 They were produced locally by REME wksp and known as Churchill ARK Mk II (Italian Pattern). 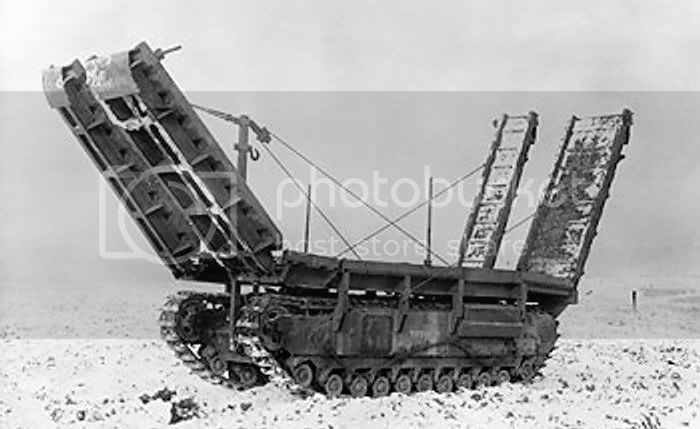 The Picture of the one with the Facine is an ARK Mk I and the picture you showed, shows the ARK Mk II (UK Pattern) and has the widened trackway on the Left Hand Side to allow small vehicles to cross and the longer hinged ramps with the vertical king post fitted to the front towing eye bracket. 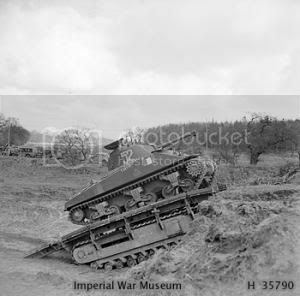 Both Churchill Mk III and IV were used as the base vehicle, Graham's kit therefore sits very firmly in the 79th Armoured Division arena. I wouldnt mind building one of these, i like the picture of three stacked up on top each other! there is a good dio of the 3 somewhere on site , it's a well know picture. These reels are a real gem.